Cloudy water in a betta tank is nothing new to most owners. And the chances are at some point it’s going to happen in your tank as well. Even if you think you’re doing everything by the book, unfortunately cloudy water in an aquarium is bound to pop up eventually. While there are times where it’s down to poor maintenance or not cleaning properly, there are other times when the reasons aren’t so clear. If your bettas tank water has become cloudy and you don’t know what to do, then keep reading. You’ll find out the main culprits behind cloudy aquarium water, how harmful it is, and how to treat it! But the good news is you don’t need to panic! In most cases cloudy water in a betta tank is perfectly harmless. 2 What Causes Cloudiness In Fish Tanks? 14 Why Is My Fish Tank Cloudy After Water Change? 15 Is Cloudy Aquarium Water Harmful? Believe it or not there can often be more than one symptom of cloudy water. Reading the signs is going to help you figure out the best way to treat the tank. If you lump everything together then you could treat the water wrong. Which could make the condition worse and make it even harder to see your betta! And there are two main types of cloudy water to watch out for. One of them is white/grey and misty looking (sometimes making it difficult to see in the tank). And the other type is green. In both cases there’s a common symptom. One of the most common symptoms of cloudy betta tank water is how quickly it emerges and then disappears. You could go to sleep one night with a tank that’s perfectly clear and wake up in the morning to see misty water. Then once again you could go to sleep with misty water and wake up for the water to be crystal clear. Cloudy water in a betta tank will have different colors depending on what is causing it. It will either be white/gray, or green. Both of these have different causes which you’ll find out about soon. And both of them will require different treatment. And lastly, you can expect different levels of visibility. Sometimes it’s going to be nothing more than a fine haze that you can quite easily see through. But in other circumstances, you may find it difficult to even see through the cloud. This can cause you to panic, but you shouldn’t worry too much just yet! What Causes Cloudiness In Fish Tanks? 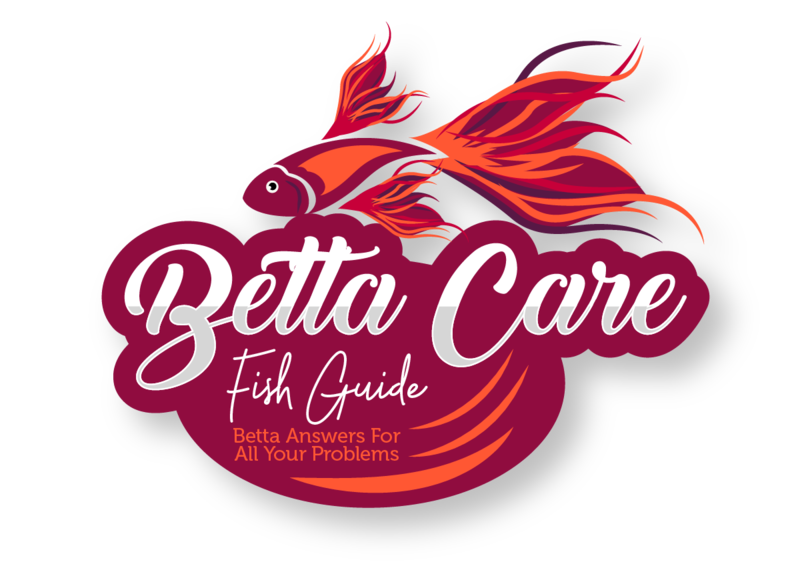 Now you know the most common ways that cloudiness is going to affect your betta tank you should also be aware of the causes. Unfortunately, some of them aren’t going to be in your control. But often times there is something you can do to prevent them! White and grey cloudiness are generally more common than green cloudiness. And there are a lot of reasons that cause it. Here are some of the main causes. If you’ve added new gravel to your tank, and you notice the water is cloudy, then it’s most likely going to be because of the gravel. This happens in new tanks and it’s because you haven’t washed the gravel enough. However, if you’ve had your gravel in the tank for a while and you’ve moved it around too much then the same thing can happen. As your tank ages, a lot of small debris is going to sink to the bottom of the tank. When you disturb the gravel it shoots all the built-up sediment back into the tank. This is one of the most common causes of cloudy water in a betta tank. But it’s not always harmful bacteria. This type of cloud rarely appears instantly, in fact sometimes it’s months before the bacteria bloom enough to make the water cloudy. However, if it does happen quite quickly don’t rule out bacterial blooms. They can also happen rapidly when you put water in your tank for the first time. If the water conditions in your aquarium have changed then this can often cause your water to become cloudy. Once again this is because of bacteria in your tank. As the bacteria starts growing in the tank again it can cause it to become cloudy and white. This can be caused by things such as pH changes and temperature changes. If your tank has started to go a cloudy green then you probably already know what the main culprit is. Algae. And there doesn’t need to be algae on the tank glass for this to occur. If your noticing green cloudiness caused by algae then here are some of the most common reasons why it’s happening. One thing that algae love is light. If your light is too bright, or you’re leaving it on too much then it could be causing more algae growth in the tank then usual. And it doesn’t just have to be the aquarium light either. If your tank is in front of a window or you leave the lights in the room on, then algae can also grow because of this. This is the other requirement that algae need to grow. Phosphates can enter your tank in a number of different ways. The most common way is because of decaying food and waste. The other source comes directly from the water you’re using itself. If you think this may be the case then it’s worth testing it. If it is then you can also buy bottled water specifically for betta tanks. This is a very common occurrence a lot of betta owners have. When you’re first setting up your tank things may be fine at first, but eventually, the water will become cloudy with no probable cause. If you notice this happening and you’re certain it’s not the gravel then there could be another reason. One of the most common reasons is decorations in your tank. If they’re not completely suitable or if you haven’t washed them enough beforehand then they can cause the tank water to become cloudy. However, once they’re washed thoroughly and you’re sure they’re made for aquariums you won’t have this problem again. If they’re still causing the water to become grey then you should remove them and replace the water in the tank. Treating cloudy water in a betta tank isn’t hard. And if you do it right, you’ll be able to enjoy a nice clean tank! Here are a few ways you can do it! In most cases, the best thing you can do is be patient and just leave the problem to clear up on its own. There are a lot of different cleaners and medicines that you can use, but in a lot of cases they only end up making it worse. Sometimes it’s best just to sit back and wait. Cloudiness is often a natural sign of a tank establishing itself. It’s only when it stays for weeks at a time that you should consider a different tactic. However, the only time that you should avoid just leaving it is when you know the cause. If you know it’s something to do with the gravel or the decorations, then you should clean it right away! Another great step is to introduce more bacteria into the tank. There are a number of ways you can do this. You can use an existing biological sponge from another filter to kickstart things. As well as that, you can also buy prepackaged bacteria culture to add to the tank as well. Adding this beneficial bacteria is going to help balance out your tank. Make sure you’re not adding to many fish to your tank at once. As a general rule of thumb, you’re going to want one inch of fish per gallon of water. Think about tropical fish in nature, most of the time they aren’t going to be all crammed together in one small space. So you should avoid doing that in your tank as well. If you’re housing your betta alone then this shouldn’t be a problem, however, you shouldn’t house your betta in anything smaller than a 5-gallon tank. As well as not overstocking your tank it’s also important that you don’t feed your fish too much either. Any food that doesn’t get eaten in the tank is going to cause more bacteria to bloom. And if you’re worried about the fish getting too hungry, then don’t be. Fish aren’t like us, they don’t need 3 meals a day. In fact, some people even recommend that you fast your betta once a week. You should also be performing regular water changes. How much you change is dependent on the size of your tank. However, if you’re not sure how much you should change then a good place to start is 10-15% a week. Changing your water regularly is going to help your filter and your tank by removing some of the bacteria in your tank. As well as that it’s also going to dilute any harmful buildups of bacteria and phosphates! And lastly, make sure you’re maintaining your filter. If you notice that it’s not working as well as it used to then it may be time to clean it. You should also be cleaning the filter media often to make sure there’s no buildup of anything nasty. While maintaining a filter seems daunting it’s a lot easier than you think! In fact, here’s a handy guide on cleaning your tank and filter! If you’re tank is suffering from cloudy water that’s green then you should reduce the amount of light. Algae thrive on light and if you have too much of it in your tank then it’s going to grow out of control. If you have to it may even be necessary to cover your tank for a day or two with a towel to make sure that no light can get into the tank. And also always make sure that your tank is out of direct sunlight. Of course, you should be cleaning your tank regularly, and vacuuming the gravel is also going to help. When you clean your tank make sure you’re vacuuming the gravel. Bacteria and algae are both going to grow if there’s a lot of waste decaying in the gravel. You can solve this problem by vacuuming the gravel of your tank at least once a week! Why Is My Fish Tank Cloudy After Water Change? If you find that the aquarium is cloudy after a water change, then you’re just like many others! And the good news is it’s very common and rarely harmful. It’s most likely due to where you’ve stopped your filter. When your filter stops and starts small debris can build up. When you turn it back on, the debris is shot back into the tank causing it to become cloudy. If it happens right after a water change then it could be because of sediment in your tap water. If you leave it for a couple of days it should clean up. Is Cloudy Aquarium Water Harmful? Luckily cloudy aquarium water is rarely harmful. If you notice it in your tank and your betta is acting fine then normally you should just wait it out. If the problem hasn’t resolved itself in 10 days then you should take a sample of water to your nearest aquatic store. Cloudy green water is the water you should worry about a little bit more. While the algae itself isn’t harmful the underlying problems could be. You should not be fully prepared to deal with cloudy water whenever it occurs in your bettas tank! Here’s a quick recap of everything you need to remember. The most common symptoms of cloudy water in a betta tank include it appearing and disappearing rapidly, the cloud can be different colors, it can also have different visibility levels. Cloudiness can be caused by dirty gravel, bacterial blooms, and a change in water conditions. If it’s green too much light in the tank or too many phosphates. If you notice your fish tank is cloudy with no fish in ti then it’s often caused by gravel not being washed properly. However, it could also be a bacterial bloom. To treat cloudy water in a betta tank, normally it’s best just to leave it to clear up on it’s own. However, you can also add more beneficial bacteria to stabilize the tank, make sure you’re not overstocking, perform regular water changes, maintain your filter, vacuum the gravel and reduce the amount of light. If you notice a cloudy betta tank after a water change it’s most likely because you’ve stopped the filter. When it turns back on any buildup of debris is shot into the tank. Cloudy aquarium water is rarely harmful, however if it’s green you should check the parameters because it could be harmful to your plants. If you liked this article make sure you check out the rest of the website. Otherwise, have a great day.